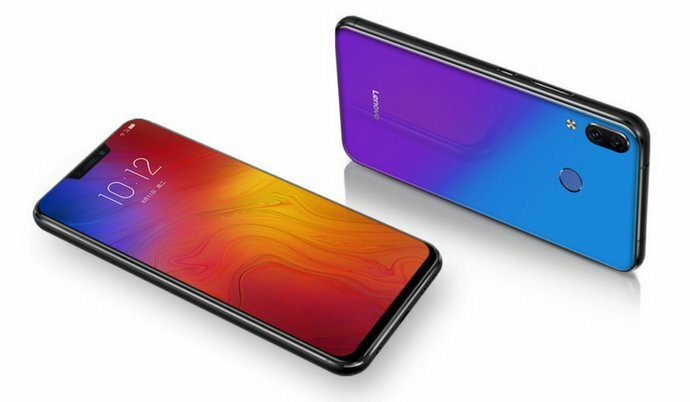 Lenovo Z5 comes glass back body. It has a 6.2-inch notch display with Full HD+ resolution 19:9 aspect ratio powered by Qualcomm Snapdragon 636 octa-core processor coupled with 6GB of RAM and 64GB and 128GB internal storage. On Camera, it has a 16MP + 8MP dual camera setup with f/2.0 aperture and records 4K resolution videos and 8MP front-facing camera with AI integration. It runs on Android Oreo with ZenUI will be getting Android P Update. Packed with a 3300mAh Battery. Lenovo Z5 comes in Black, Blue, and Aurora color option priced at 1299 Yuan for 64GB model and 1799 Yuan for the 128GB option.